As a result of the increased International business with Mexico via Nuevo Laredo, Laredo, Texas has become a prime destination for private charter flights. Charter Flight Group has been handling private charters for over 30 years and during that time has cultivated excellent relationships with key personnel at this busy, though small International Airport. This system is build upon a simple, though effective method of hiring the best 3rd-party auditors in the nation to ensure that not only does every private charter flight crew and private plane meet U.S.
Charter Flight Group recognizes the need for flight safety and security, especially when booking private charters into International zones such as Laredo and as a result has built a reliable system to ensure the safety and security of the private charter flights client. Government regulations, but exceeds these as well. For this reason, CFG has developed a fine reputation in the charter industry for getting clients where they need to go, on-time and safely. Our clients fly with the confidence and peace-of-mind that when they arrive and leave, nothing is left to chance while in flight. Of course, whether your private flight requires a small turbo-prop jet, light, or medium jet or something much larger, we can easily accommodate. All private travels are manned by experienced and professional crews that take safety and comfort of their passengers seriously. When Private flight clients land after one of our luxury flights, they always thank us for the quality service that we provided. On landing at Laredo International Airport in your private charter plane, the first thing you will notice is Lake Casa Blanca to the east and the city of Laredo to the west. Upon leaving the terminal, it is an easy trip into the city and depending on the purpose of your trip, you may head north or south from the airport. For business travelers, the most common route is to take the Bob Bullock Loop (Texas Highway 20) north and west to the newer U.S./Mexico crossing near the Industrial Park in Nuevo Laredo. For those traveling on pleasure, it is a simple matter to head just south of the airport to U.S. Highway 59 west, then take I-35 south to the traditional border crossing near the Laredo Mall. 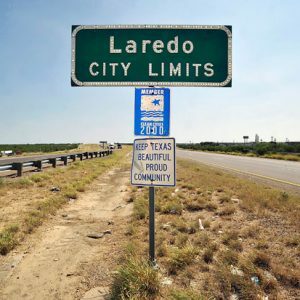 Laredo, even after two decades of immense growth is still a rather small community, but with a constant flow of human traffic in and out of the city for business and tourism, it literally bustles with activity, such as only seen in beehives. For private charter clients who enter the city on business, there are a multitude of locations throughout this city where one might find important interests. One key point of interest in this area is the South Texas Oil & Gas Industrial Park, located just southeast of Laredo International Airport off the Bob Bullock Loop. However, it is generally best to know exactly where one is going before venturing too far and this is where the private charter consultants of CFG will prove invaluable. 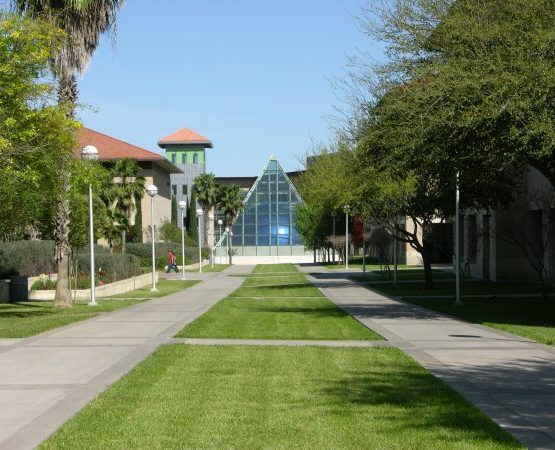 If one is traveling by private flight on pleasure, some key points of interest include Nuevo Laredo, the Laredo Mall area surrounding, and Lake Casa Blanca International State Park. The Mall area is interesting for the city blocks surrounding the mall to the north and west are filled with wholesale bargain shops, the likes of which few will ever see anywhere else in America. It is a little taste of Mexico without actually going to Mexico. If, however, one prefers, the journey into the border town is a simple one, but remember to bring your passport, for you will need it upon re-entry. In addition, the explosive growth of Laredo has brought with it a varied and interesting night-life, but one should remember to hire a guide, as much for safety as translation service. Why Choose Charter Flight Group for your Private jet to Laredo? There are many companies one can choose when booking a private flight to Laredo and perhaps there are charter companies that boast lower prices than us. However, when the safety of you, your family, and your associates is at risk, as it always is when flying into any International zone, the wise person will seek the company that places a premium on safety and security. Charter Flight Group spares no expense in ensuring that each flight, private plane, and charter flight crew exceeds even the highest standards for safety in the charter industry. Just remember, you can choose any private charter flight you want for entry to an International zone like Laredo, but choosing to charter with CFG, you will always have certified experts to guide you to a safe and comfortable take off or arrival.